As parents, we have learned to play it safe. We just try and do our best. We make medical judgements all the time. Could a sick stomach be of concern or is it a ploy to get out of school today? Is a fever too high? Did we independently administer a double dose of Advil? Sick kids lead to stressful households. At the risk of insulting someone, I would never allow evidence based medical treatment to be replaced by quackery. A case before the courts in Alberta is garnering international attention amidst a rise in the belief in natural and homeopathic remedies and surging anti-vaccine sentiments. I have been following the trial against David and Collet Stephan with great interest since it began on March 5th . The senseless death of 19 month-old Ezikiel Stephan in 2012 resulted in his parents being charged with failing to provide the necessities of life to their son. 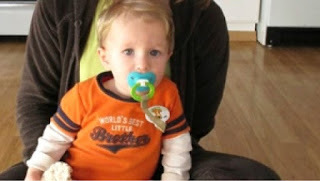 The toddler became ill but his parents allegedly refused to take him to a doctor. Instead of seeking medical attention they turned to home remedies and cures. They believed His flu-like symptoms were from a minor case of croup which they treated with smoothies containing hot pepper, ginger root, horseradish, onion and apple cider vinegar. When his condition worsened, they turned to a naturopath for Echinacea, a herb believed to jump-start the immune system. Allegedly, a family friend, who happened to be a nurse, suggested immediate medical assistant fearing the child might have viral meningitis. According to the Washington Post, his mother turned to the internet where she learned that most people, even without specific therapy, recover from the illness. The parents allegedly refused to take him to a doctor, relying on a naturopath and WebMD. The day after the Echinacea remedy was administered little Ezekiel was rushed to the hospital where he succumbed to bacterial meningitis and empyema. The toddler's tragic death raises questions of whether and when parents have a duty to take their children to the hospital, despite their personal or religious beliefs. The Crown is arguing the Stephans didn't do enough to ensure their son had proper access to medical care. Could a simple dose of antibiotics have saved thief precious baby son's life? Have the well meaning and loving parents been through enough?